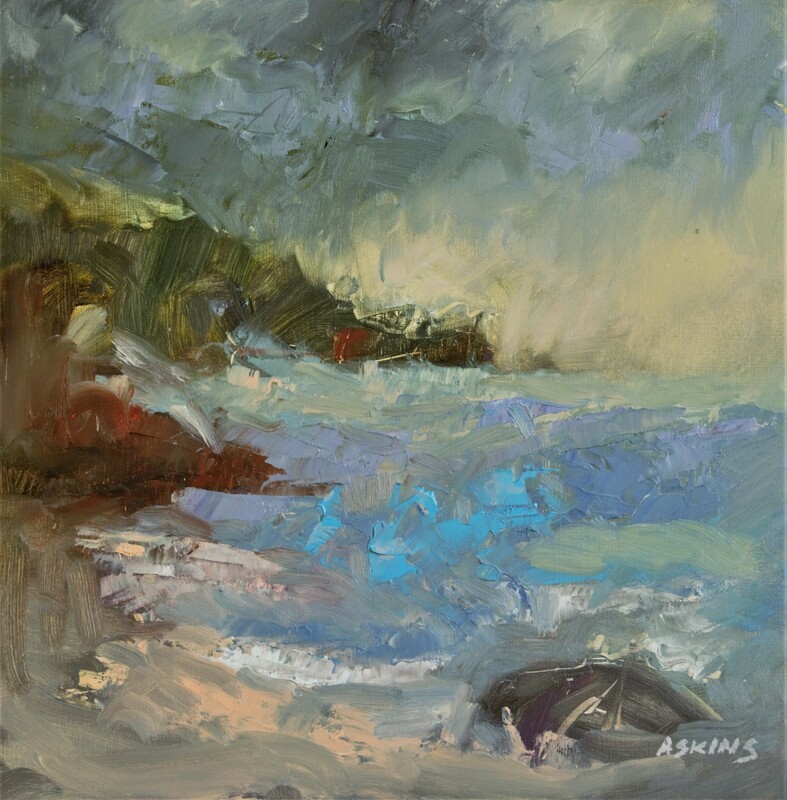 Expressive, energized painting capturing the transient weather conditions and their effects. Based on observations and reflections of the Welsh coast. We can all relate to the changing British weather.